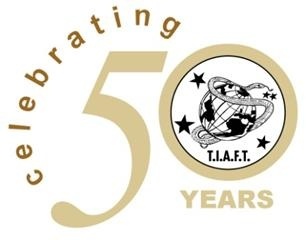 The International Association of Forensic Toxicologists (TIAFT) was founded in London in 1963. To mark this milestone event in TIAFT’s history, the UK’s capital city hosted a two day celebratory meeting - 26th and 27th April 2013 - bringing the Association back to its roots. The Guildhall, home to the City of London Corporation, provided a most fitting and spectacular backdrop to the meeting. This rare example of medieval civic architecture and Grade I listed building, more accustomed to opening its doors to visiting Heads of State and other dignitaries, welcomed 220 toxicologists plus accompanying persons representing 30 different countries from across the globe. The scientific sessions were held in the Grade II listed Livery Hall, built in between 1870 and 1873. The meeting was convened by Dr Stephen Morley, Chair of the host organisation - LTG (Formerly known as the London Toxicology Group) - before handing over to chair Bryan Finkle, one of the founder members of TIAFT. The first lecture of the meeting was aptly given by Professor Dr. Alain Verstraete, current TIAFT president (2011-2014). The inauguration and evolution of the Association were described through from its humble beginnings to its now impressive membership of over 1700 members in 100 countries. This was reciprocated with a history of the LTG presented by Dr Steve George, past and longest standing Chair of the Group. Professor Dr. Robert Wennig, 1996-2002 TIAFT president, brought together two of his biggest passions in a philatelic ramble through the history of forensic toxicology, illustrated by postage stamps from all over the world. He explained how, “Even the idea of post stamps.... was influenced by the gummed etiquettes used by pharmacists at that time to label pharmaceuticals in pots”. Dr. Vina Spiehler, current USA regional representative, past Secretary (1990-1996) and Bulletin editor described the past, present and future use of immunoassay in toxicology. The first session was brought to a close by Professor Gérard Hopfgartner, speaker on behalf of our gold sponsor, Shimadzu. The exhibition and refreshment breaks were held in the gothic hall known as the old library - a fantastically light and spacious room designed by Sir Horace Jones and built in 1870. Historically housing over 40,000 volumes, MSS and maps, during the meeting the library instead was temporary home to our 18 sponsors and exhibitors. We would like to thank Shimadzu, Cerilliant, Agilent, UCT, Waters, AB Sciex and all exhibitors for their generous contribution and support of this meeting. Overlooked by a spectacular stained glass window depicting William Caxton, first English printer and retailer of books, there was plenty of opportunity during refreshment breaks and the champagne reception for delegates to reminisce with each other and engage with exhibitors. The afternoon scientific sessions, chaired by Professor Robert Flanagan and Professor Atholl Johnston, commenced with past president (2008-2011) Professor Dr. Olaf H. Drummer who walked us through the evolution of post-mortem toxicology and those factors that continue to temper our ability to provide interpretation. Dr. Pascal Kintz, TIAFT president during 2005-2008, discussed the problems and resolutions of hair testing including the unsolved issue of contamination. The number of applications of hair testing in clinical and forensic toxicology is increasing and hopefully this will soon extend to doping control. The opportunity was not missed to describe the untimely passing of French military and political leader, Napoleon, whilst in British confinement, and how hair testing helped put an end to speculation relating to the cause. Dr. Marc Le Beau, TIAFT treasurer, spoke on drug facilitated crimes and the challenges that impact the toxicologist’s ability to detect evidence. A serious topic lightened by a humorous look at the public’s perception of toxicologists, fuelled by TV dramas like CSI. Professor Dr. Alan Wayne Jones gave an overview of fifty years of alcohol from GLC-FID to HS-FID and speculation of GC-MS. “What will happen in the future regarding methods of blood-alcohol analysis in forensic laboratories is hard to know, but it would be useful to make a simultaneous determination of non-oxidative metabolites, ethyl glucuronide and ethyl sulphate”. Pol. Lt. Col. Ampika Leelapojanaporn, and colleagues (via video), delivered a very heartfelt thanks to TIAFT for their help in developing forensic toxicology in Thailand, and in particular for their consultation in development of the first national guideline for alcohol analysis. The first day’s scientific sessions were completed by a lecture on the 21st century challenges facing forensic toxicologists in relation to DUID, by Professor Dr. David Osselton. Day one concluded with a gala dinner, held beneath the Guildhall in London’s two largest and finest medieval crypts; the western crypt dating back to the 13th century and the eastern crypt dating back to the 15th century. The former completely collapsed in the 1666 Great Fire of London but fortunately for TIAFT, after extensive restoration it was reopened in 1973. The eastern crypt twice emerged unscathed from disastrous fires of 1666 and 1940. Twenty-two tables of toxicologists were interspersed between clusters of circular columns in Purbeck marble which supported a fine groined roof, comprising stone, chalk and brick. Principle intersections were covered with carved bosses of heads, shields, and flowers. Again events were overlooked by fine stained glass windows, this time depicting Geoffrey Chaucer, William Caxton, Sir Thomas More, Sir Christopher Wren and Samuel Pepys. As is customary with TIAFT the 4 course dinner and flow of wine was interrupted only by a roll call of nations by Alain Verstraete. Despite one or two sore heads, day two, chaired by Dr Andrew Kickman, commenced at 09:00 with Professor Dr. Dr. (h.c.) Marilyn A. Huestis, first female president of TIAFT (2002-2005), presenting her work on chronic daily cannabis smoking: neuroadaptation, residual cannabinoid excretion and psychomotor impairment. This was followed by TIAFT board member, Professor Dr. Dr. (h.c.) Hans Maurer, who discussed the prerequisite of metabolism studies in developing methodology for detecting emerging drugs of abuse. TIAFT secretary, Professor Dr. Dan Isenschmid explained his cryptic “alphabet soup” title with reference to the notation used to identify synthetic cannabinoids (initials of the chemist / institution followed by a number) or acronyms for long chemical names in the case of designer stimulants. We were fortunate to secure a lecture from EMCDDA’s Michael Evans-Brown who updated us on the new drugs in Europe reported via the EU early warning system - a disconcerting 16 notified substances already in 2013! In the recess the group photo, a logistically taxing tradition of TIAFT, was taken in the Great Hall - the largest and most impressive room in the building. The 152 feet long, 49.5 feet wide and 89 feet high space posed no challenge to the bringing together and capturing of all delegates. An imposed upon and rather nervous Steve George disappeared up onto a suspended balcony to record in history aerial photographs of all those present. The meeting was formally bought to a close by Alain, but not before announcement of the winners of the exhibitors’ quiz. TIAFT and LTG would like to congratulate Crystal Bancroft, Peter Akrill, Robert Flanagan and Kathleen Barnett who were lucky enough to walk away with a free registration to TIAFT Funchal 2013 Madeira, a year’s free subscription to Drug Testing and Analysis and Journal of Applied Toxicology, Mass Spectral and GC Data of Drugs, Poisons, Pesticides, Pollutants and Their Metabolites, (4th Edition) and Analytical and Practical Aspects of Drug Testing in Hair, respectively. Whilst the science was over festivities continued after lunch with a London Tourism event. A London route master bus collected delegates from the Guildhall and took them on a 50 minute guided land tour of the city; past the Bank of England and monument to the Great fire, then over London Bridge. Back over Tower Bridge, past the Tower of London and along Thames Street and the Embankment (past Cleopatra’s needle) before heading up to Horse Guards and Whitehall. Finally delegates were taken past Downing Street and around Parliament Square before disembarking at Westminster Pier. A Blue Badge guide provided commentary along the way. Here delegates boarded a river boat and continued their tour with a one hour circular cruise along the Thames River; from Westminster to St Katherine’s Dock and back, calling at Festival Pier, Temple and Bankside on the way down river. The organising committee would like to thank TIAFT for entrusting us with such an honourable task and for enabling LTG to be part of this milestone in TIAFT’s history. We would also like to thank GTFCh for their generous financial contribution to the scientific programme and our sponsors and exhibitors, without whom this meeting would not have been possible. Finally we would like to express our appreciation of the speakers for their involvement and all the delegates for making this meeting a truly memorable occasion.